Send a child to school & give them HOPE for just $42/month! H.O.P.E. = Helping Orphans Prosper through Education! Your gift of $42 a month provides an orphaned or vulnerable child with an education, medical care, nutritious food, support of caring adults, and the chance to experience God's love in action! Do you want to be a World Changer? When you sponsor a child, you change his or her life. It’s true! Millions of children in Ethiopia will never attend school. It’s hard for us to imagine since we live in a country where every child receives an education. That is why your $42 monthly gift is crucial. As a sponsor, you are providing a child with the ability to attend school, receive a hot, nutritious lunch six days a week, have access to medical care, and the opportunity to learn how much God loves them. You change their life! 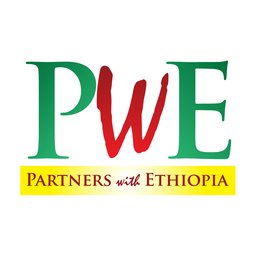 We are partnering with SHAPEthiopia to reach the children of Boricha, in southern Ethiopia. The Boricha Center of H.O.P.E. is a drop-in center where the sponsored children come year round. They also participate in a summer program designed to be fun along with continuing their studies. As a sponsor, you will receive at least one photo and two updates per year on your child along with our quarterly newsletter. You will have the opportunity to write your child twice a year and send a small gift which is hand delivered during our annual trip. Also, sponsors are always welcome to travel with us. Meeting your child in person is amazing! Every sponsor who comes will visit their child’s home and meet their family or caregivers. Click the 'Find A Sponsorship' button over on the right to begin your life changing sponsorship journey!